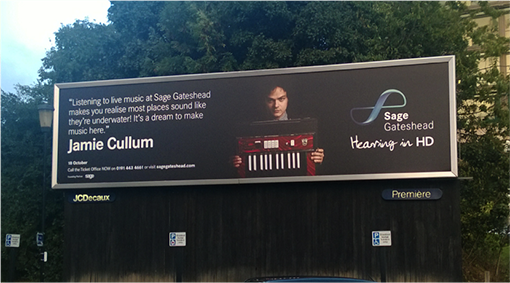 Sage Gateshead's latest advertising campaign is seen here on Newcastle's biggest poster site. This is a photograph of the actual site. Adverts from the same series are currently being displayed in Haymarket Metro station, which is seen by over 105,000 people a day.